8. 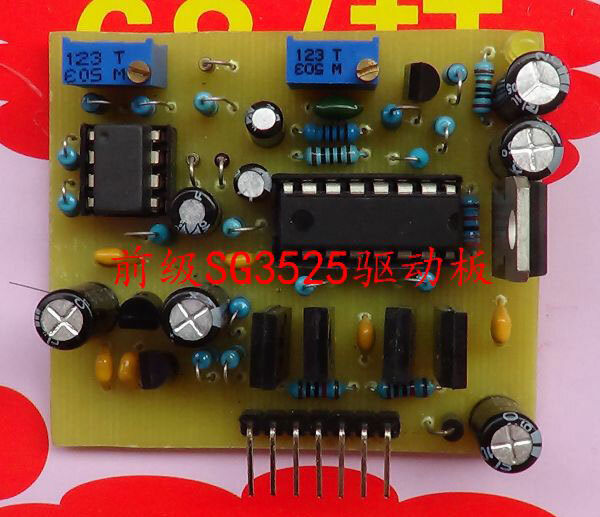 Mature circuit, reasonable circuit designing, good consistency, component neatly symmetrical, elegant appearance. 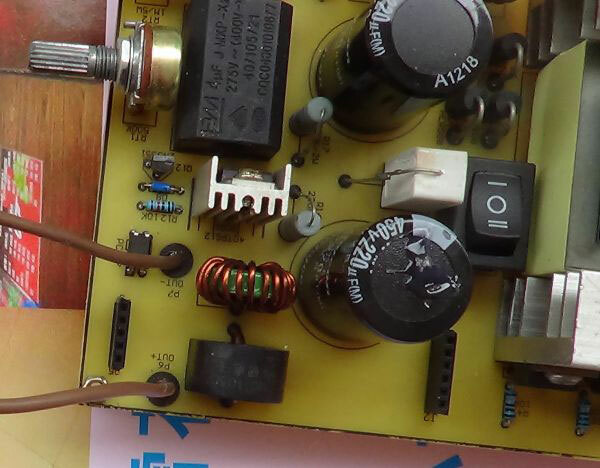 Filter capacitor Pre-Amp applied two 4700UF/50V. 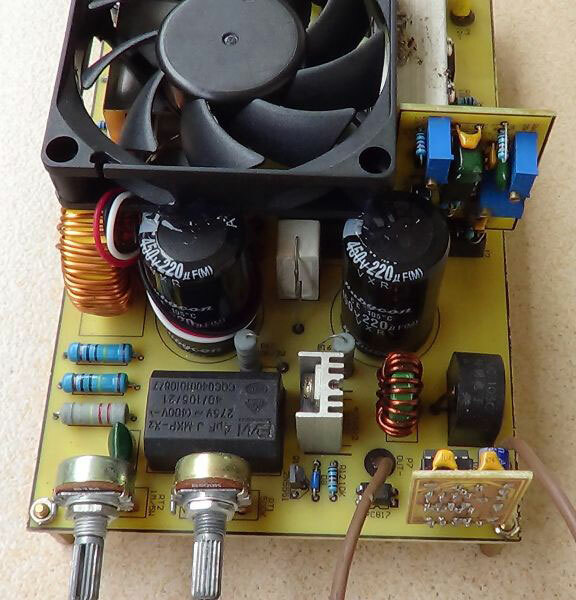 Power-amp applied two 220UF/450V. 1. 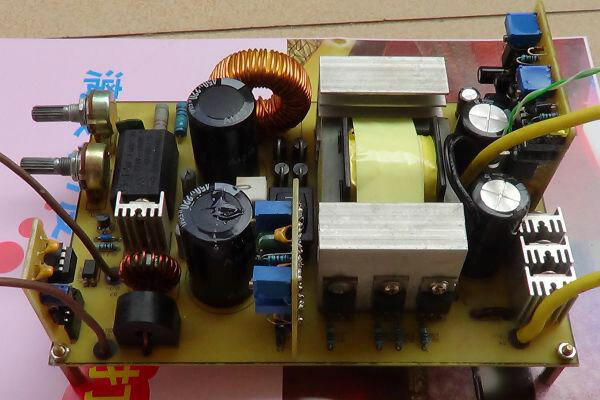 Voltage range from 12V to 24V. 2. 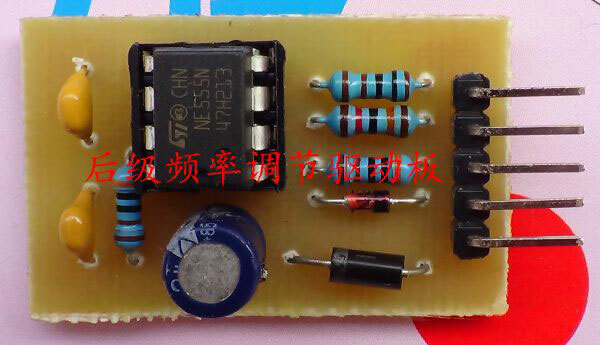 Including input reverse protection, first stage over-current (short circuit) protection. 3. 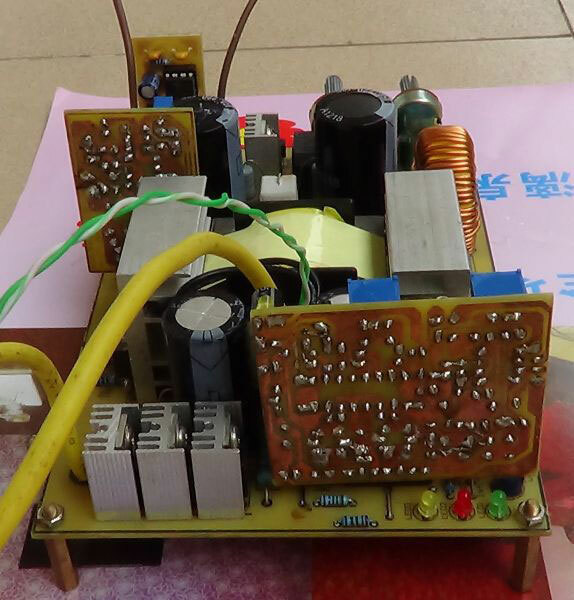 Power-amp over-current and short circuit protection applied lock protection using current transformer isolated. After protection motion, we need to press the switch again to output driving signal. 4. 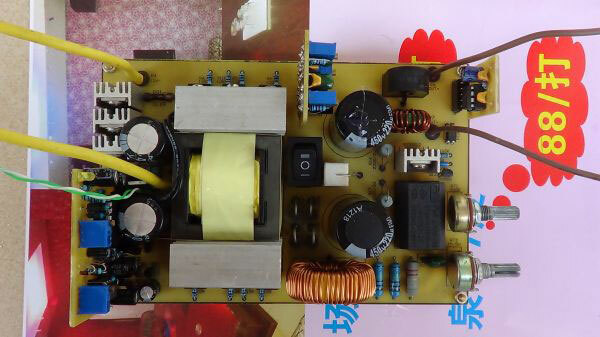 Adjustable frequency 10KHZ to 40KHZ. 5. 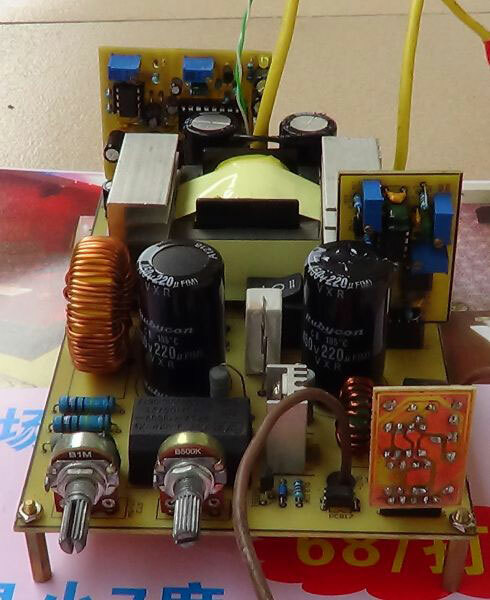 High power (B772/D882) output. 6. Set with 5 seconds automatic shutdown function, effectively protect personal safety. 1. Power reversely connects protection. 1. Using LM393 to compare. 2. 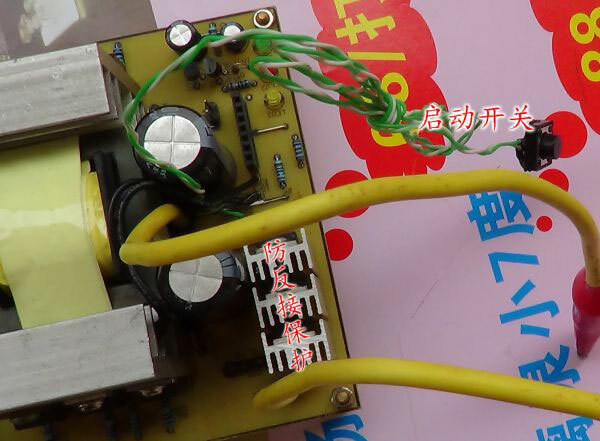 Applied current transformers, high-voltage isolation and high precision. 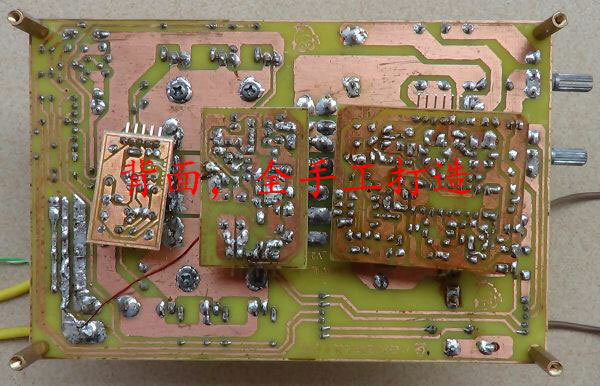 Power board rear PCB, produced by thermal transfer printing.